Val Jellay dead: veteran Flying Doctors actress passes away, aged 89. Val Jellay: The Flying Doctors actor dies of pneumonia aged 89. 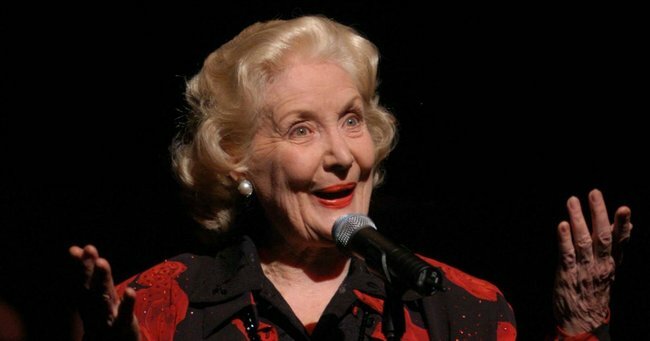 Australian actor and vaudevillian Val Jellay, best known for her role in The Flying Doctors and double act with husband Maurie Fields, has died at age 89, her son says. Her comedian son Marty Fields said Jellay was hospitalised late last month “battling pneumonia in intensive care”. Fields later tweeted that Jellay was on life support and that hospital staff were “making sure she’s comfortable”. He confirmed her death on Saturday. “My mum, Val, passed away today,” he wrote. “She lived an amazing life. “She’s back with her beloved Maurie now. Maurie Fields, also a regular on The Flying Doctors, died in 1995 after having a heart attack. Born in 1927, Jellay began her career in vaudeville and later moved into television. In addition to The Flying Doctors, Jellay had roles on Australian television series including Matlock Police, Homicide, Prisoners and Neighbours. She also appeared on Good Morning Australia as a movie reviewer and on Hey Hey It’s Saturday with Fields. On his website, Marty Fields described growing up in a show business family as “unusual to everyone but me”. “It became quite normal to come home from school to find Mum and Dad working on a dance routine in the kitchen wearing some weird hats or something for a new show somewhere,” he wrote.